Records and Information Management (RIM) has seemingly been pushed aside for loftier goals and corporate initiatives. Strategic priorities, innovation, information governance, IT projects, and regular RIM operations cause RIM professionals to feel like they are plugging holes in a leaky dam or worse, a distant memory. If you feel this way, it may be time to build a new dam or make a patch that is going to hold up to 2020 and beyond RIM problems. Leadership, sponsorship, or getting the person with the money on board for a RIM facelift is undoubtedly important to ensure the success of your RIM program. Sometimes, the leadership is there for emotional support, but when it comes to actual financial support, there isn’t any. If you are responsible for a RIM program, you may have to work with what you have. Regardless, it will take leadership to move any RIM initiative. Without leadership, any action outside of the strategy of the organization or specific directives and goals could be viewed as a big risk. Traditional RIM practices discuss inventory and appraisal of records to ensure proper storage, access, and protections are in place. Traditional practices still have merit, but we are a long way from knowing everything is safely tucked away in a records room or offsite storage. Understanding where digital assets reside, who has access to them, where they have been, and the value of the information that is kept is essential to a 2020’s RIM program. Further, the loss of the information has to be taken into consideration, beyond the loss of revenue to the organization. Regulatory fines are not a fad; they are a reality. If you haven’t heard about GDPR, you may want to look into it further. Organizations have worked for decades to roll out a retention schedule that is clear, easy to implement, and is followed by all stakeholders. As cloud technology booms, legacy systems hang on, and cryptocurrency slowly becomes part of transactions it is more important than ever to have retention and defensible disposition. I’ve spoken to RIM superheroes who have created plans to remove terabytes of data, encrypt long-term storage repositories, and have plans on how to use blockchain for managing information. These plans can save IT significant spend on storage and reduce the risk profile of the organization. Further, organizations are requiring their vendors have certifications to ensure the proper handling and destruction of information. In the past, some vendors may have skirted certification to offer lower rates, but with the new risk landscape, potential savings pale in comparison to regulatory fines and tainted reputations. Strictly adhering to a retention schedule versus little oversight or no retention schedule are still debated by RIM professionals. Some feel loose retention practices improves an organizations chance to defend itself or go on the offensive in a lawsuit because they likely have the data they need. However, keeping large data repositories is expensive and a risky proposition for most organizations. Proving what information you have or why you don’t have information will be expected in the 2020’s. Properly disposing of risky data or unused data to save on storage isn’t the only way a records manager can save an organization money. Could a person responsible for RIM have the ability to not only save but also find new revenue to increase an organizations profit margin? The answer is yes. As the collectors and keepers of information for our organizations, we can use artificial intelligence with machine learning tools to mine that information to help the organization make better decisions, save money, and find new opportunities for generating new revenue. Perhaps some of the information you collected could be sold? It isn’t out of the realm of possibility information collected from drones, or IoT devices could be collecting data that has value to someone (before you consider selling data, please consult with a privacy professional). Perhaps your organization will apply some of the concepts Mr. Laney discusses in his book called Infonomics, which explains how to put your information on a balance sheet as an asset. The possibilities are truly endless to find revenue opportunities within your data. If your RIM program can help you save money, help the business operate more efficiently, and find money in the process, you have yourself a 2020’s RIM program. 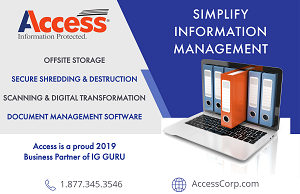 Andrew Ysasi, MS, CRM, FIP, CIPM, CIPP, CISM, PMP, IGP is the Vice President of Kent Record Management® and President of IG Guru™, a news organization to ensure relevant IG news is shared with the IG community. 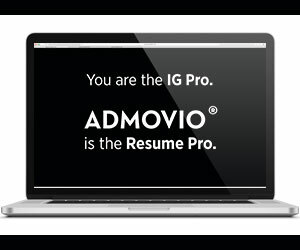 He has volunteered with ARMA, the ICRM, worked as an adjunct professor and founded a career consulting practice – Admovio®. Andrew has spoken across the United States and contributed to ARMA’s Information Governance Body of Knowledge (IGBOK) and Record Management Core Competencies 2nd ed.